Since 1904, Matthias Paper has served the packaging and graphic arts industries with the kind of quality, customized service that builds lasting relationships. Through the years, we have readily adapted to market needs in order to better serve our customers effectively. Our sales offices, warehouses and converting facilities in Swedesboro, New Jersey and High Point, North Carolina, enable us to respond to the needs of the industry on the East Coast and Midwest. Performance Substrates from Matthias are prime sourced and top quality. Matthias is an independent and reliable partner dedicated to supply solutions to serve the tag and label industry. Matthias Paper has the capability to perform a variety of converting applications. 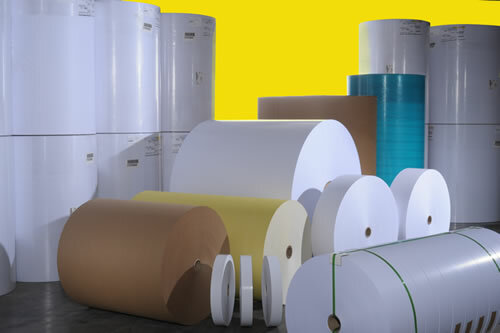 Slitting, rewinding, sheeting and guillotine cutting are provided on our substrates and as a toll service. Our precision sheeters have the capability of providing press ready sheets of grades from 2 mil to 24 mil up to a sheet size of 55”x60”. Can sheet up to 5 rolls simultaneously. Highly productive and precise slit roll finishing of grades from 2 mil to 30 mil. 1” to 72” widths up to 50” OD from NJ and 2” to 84” widths up to 60” OD from NC. We have guillotine cutters to meet all re-cutting specifications. Our automatic loading and unloading equipment ensures that your finished cut sheets will have an excellent edge profile for feeding on press. Normal 0 false false false EN-US X-NONE X-NONE MicrosoftInternetExplorer4 Performance Substrates from Matthias are prime sourced and top quality. Matthias is an independent and reliable partner dedicated to specialized supply solutions to serve the tag and label industry.